Dr. Pollack is an internationally recognized retinal clinician, surgeon and educator. He has served as Director or Invited Faculty at over 100 scientific meetings and has delivered over 160 scientific presentations at national and international scientific meetings. He has published over 60 scientific papers and book chapters and is a scientific reviewer for 6 ophthalmology journals. Dr. Pollack is an Assistant Professor of Ophthalmology at Rush University Medical Center and has been with Illinois Retina Associates since 1997. 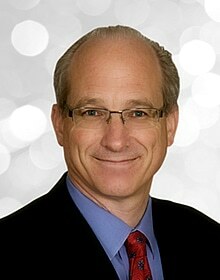 Dr. Pollack has held a number of national leadership positions and received many honors. He is currently President of the American Society of Retina Specialists (ASRS) – the largest organization of retina specialists in the world. He also serves on the Executive Committee of the philanthropic arm of the ASRS – the “Foundation of the ASRS”. Dr. Pollack serves on the Board of Directors for the Illinois Society for the Prevention of Blindness and Notal Vision, Inc. Dr. Pollack received the ASRS Senior Honor Award for his scientific and educational contributions and he is the recipient of the Achievement Award from the American Academy of Ophthalmology. He has been listed in “Best Doctors in America” and “Guide to America’s Top Ophthalmologists” for many years and has been identified by Ocular Surgery News as one of “OSN Retina 150 Innovators in Medical and Surgical Retina”. In 2017, Dr. Pollack was honored as a Charter Inductee into the Retina Hall of Fame, in recognition of exceptional lifetime achievements and contributions to the field of retina. Dr. Pollack is founding Editor of the annual ASRS Preferences and Trends (PAT) Survey. Founded in 1999, the PAT Survey is the largest international survey of medical and surgical trends in retina and is referenced widely in scientific presentations and publications across the globe. He is also co-founder of The Winning Pitch Challenge, a medical competition that encourages and supports the development of innovation in ophthalmology. Dr. Pollack’s strong interest in bringing cutting edge research to his patients has led to his involvement in multiple major national research studies. He has served as Study Chairman, Principle Investigator, or Co-Investigator in over 15 clinical studies. His interests cover a variety of topics including suture-less retina surgery techniques, new treatments for macular degeneration, new surgical options for macular holes, injection therapy for macular edema, repair of complex retinal detachment and new advances in the development of artificial vision as well as sustained release drug treatments for macular degeneration. Dr. Pollack is an advisor to pharma, biotech and device companies and a member of the Board of Directors for multiple non-profit and commercial medical entities. A native of Baltimore, Dr. Pollack developed an interest and passion for ophthalmology early on, inspired by his father, who was also an ophthalmologist. He received his undergraduate degree in biology at Washington University in St. Louis and completed his medical training at Georgetown University in Washington, D.C. Dr. Pollack returned to St. Louis for his Ophthalmology residency at Washington University’s Barnes Hospital, followed by a retina-vitreous fellowship at the Medical College of Wisconsin in Milwaukee. Dr. Pollack is an Assistant Professor of Ophthalmology at Rush University Medical Center in Chicago and is board-certified by the American Board of Ophthalmology. In their spare time, Dr. Pollack, his wife Susan, and their three children share and enthusiasm for camping, fishing, skiing, and travel. Principle Investigator, Artificial Silicon Retina Project (Optobionics Corporation) – Evaluation of subrtinal implantation Artificial Silicon Retina for treatment of retinitis pigmentosa. Principle Investigator, VISTA Study – Combined Visudyne PDT + Intravitreal triamcinalone acetonide injection for wet AMD. Principle Investigator, MacuSight Trial: Studying effectiveness of subconjunctival injection of Sirolimus for treatment of diabetic marcular edema. Funding: MacuSight Inc. Principle Investigator, READ-2 Study – Intravitreal Lucentis versus laser treatment for Diabetic Macular Edema. Principle Investigator, SCORE Study – INtravitreal steroid injections for macular edema associated with vascular occlusions. Co-Investigator, DRCR Study “I” – Combined IVTA + Laser for treatment of DME. Principle Investigator, CRAVE Study: Comparison of anti-VEGF agents in the treatment of macular edema secondary to retinal vein occlusions.